Not content to let The Kids in the Hall, the Upright Citizens Brigade, and “The Super Bowl Shuffle” hog the spotlight, Myspace (of all places) has published an oral history of Nickelodeon’s long-running sketch comedy show All That. Much like the recent Nickelodeon oral history Slimed, All That’s oral history was clearly written by fans. 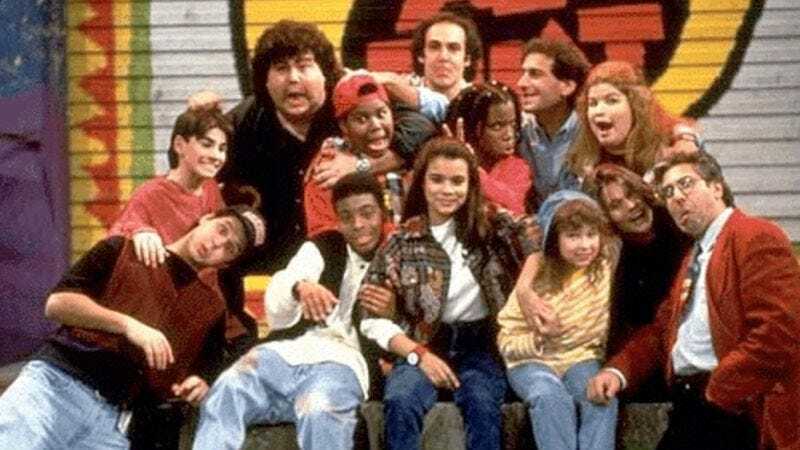 By all accounts the set of “Saturday Night Live for kids” (or “In Living Color for kids,” depending on who you ask) had much less bitter infighting and much more hanging out with Sinbad than its grown-up predecessors. As cast member Angelique Bates says, “There weren’t really sad moments. You can’t really have a sad moment at Disney." Most of the All That alumni make appearances, including current and probably forever Saturday Night Live cast member Kenan Thompson. (Amanda Bynes declined to be interviewed.) A section focusing on All That’s musical guests also includes interviews with ‘90s R&B stars Da Brat, Rozanda “Chilli” Thomas of TLC, and Coolio, who proves himself pretty endearing when he talks about sharing his Nickelodeon experience with his kids. Plus, there’s a detailed backstory on the origins of Good Burger’s Ed that includes the phrase “old dog wigs,” so keep an eye out for that.